Rare 18th Cent Sheep Shears. 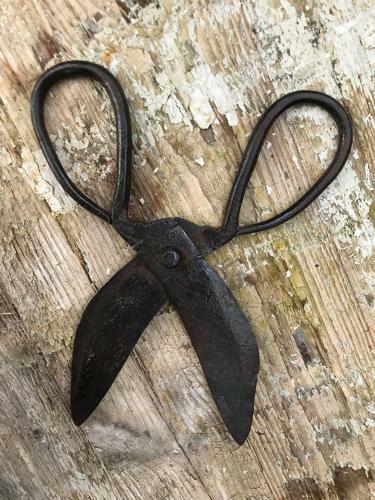 now very hard to find these early scissor type shears were used up until the spring steel ones came in around the early 1800s. They were reknowned for nicking the sheep which needed the Tar boy to add a dab of Tar to seal the wound and stop infection. Good condition, ex museum. Some nice Blacksmith detailing.